SKU: N/A. Category: Landboard and Buggy Kites. 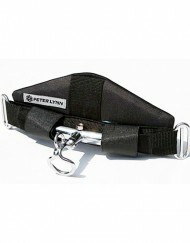 Tags: Peter Lynn Kites, power kites, power kiting, traction kites, traction kiting. 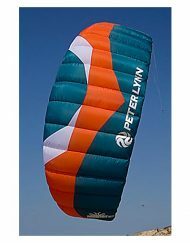 From the Manufacturer: The Peter Lynn Hornet is a 4-line powerkite. It is exciting, fun, challenging and powerful! 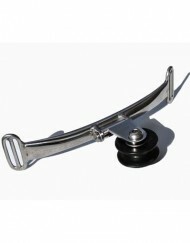 To ensure anybody can learn 4-line controls with confidence, we have built the ultimate all-rounder. The Hornet delivers its power in a predictable way. It is stable, easy turning and above all, a lot of fun to fly. 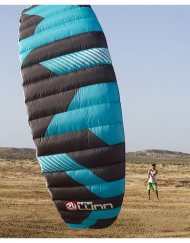 The Hornet is the most well established all-round powerkite in the world. 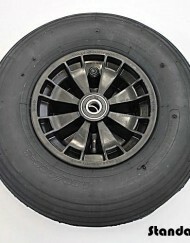 In over 10 years of history it has been revised, redesigned and tuned to perfection. 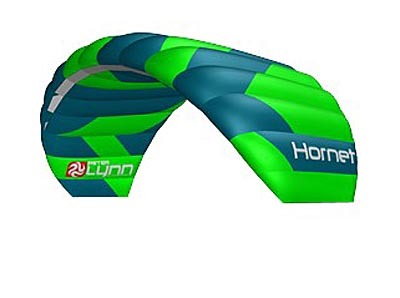 No matter in which traction kiting discipline your ambition lies, the Hornet will provide you with a highly dependable and versatile entry-to-intermediate level traction kite. So if you are looking to cruise your first beach in a kitebuggy, make your first miles landboarding or snowkiting, the Hornet is the perfect companion into a world of wind powered excitement. 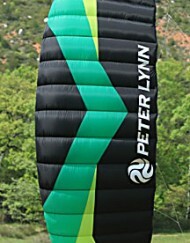 The Peter Lynn Hornet is undoubtedly the best way to get into some serious powerkite flying. Its unsurpassed flight characteristics ensure hours upon hours of exhilarating fun. The Hornet was designed to be as stable as possible without affecting the awesome flight characteristics it is renowned for. 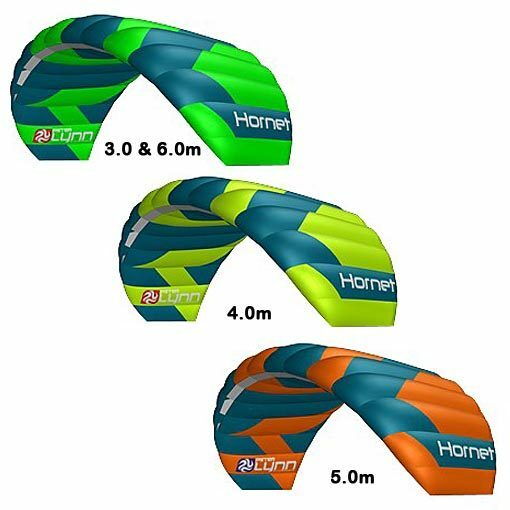 Besides being the ultimate 4-line foil for static use, the Hornet will also prove its worth if you’d like to get going in a buggy or on a board, where having a stable kite helps you get going with confidence. As the Peter Lynn Hornet is aimed at the serious starter, a lot of effort has been put into making the kite as accessible and dependable as possible. 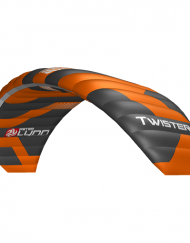 All these efforts have resulted in the most user friendly powerkite on the market today. Smooth turning, snappy controls, superb stability and equal pull throughout the wind window all add to the great experience the Hornet will deliver for endless sessions to come. 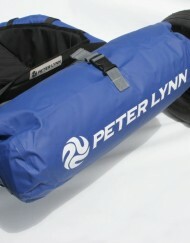 The Peter Lynn Hornet is easy to control through either 2 or 4-line steering. If you fly the Hornet by only pulling left or right on the handles, it has a smooth turning radius with a continuous power delivery. If you steer the kite by adding tension to the brake lines, the Hornets turning radius becomes much tighter. 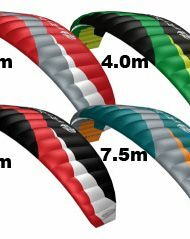 By using 4-line controls you can be much more precise in positioning the kite, to get maximum performance out of it. 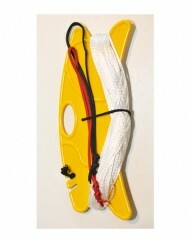 The Peter Lynn Hornet is called a ‘power’ kite for a reason!